Lightmotif's 3D surface texturing technology can be used to apply micro-textures to molds, enabling the creation of molded parts with functional surfaces. The replicated textures can add functional properties such as soft-touch, anti-glare, water-repellent / super-hydrophobic, and low-friction to (part of) the product's surface. A typical example is machining dimples into a steel mold insert in order to create a micro-pillar texture on injection molded plastic parts. 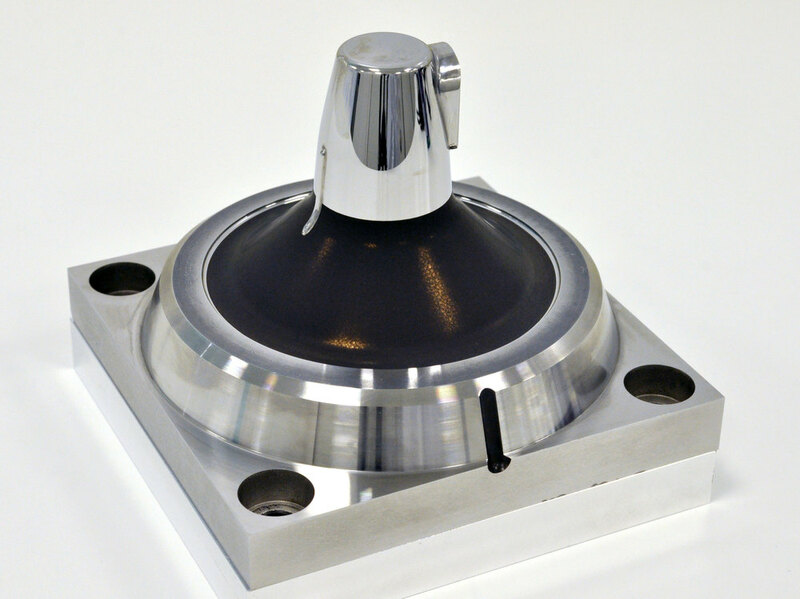 The general process however can be used to apply many different types of textures; and the use of ultra-short pulse lasers allows almost any material to be machined. 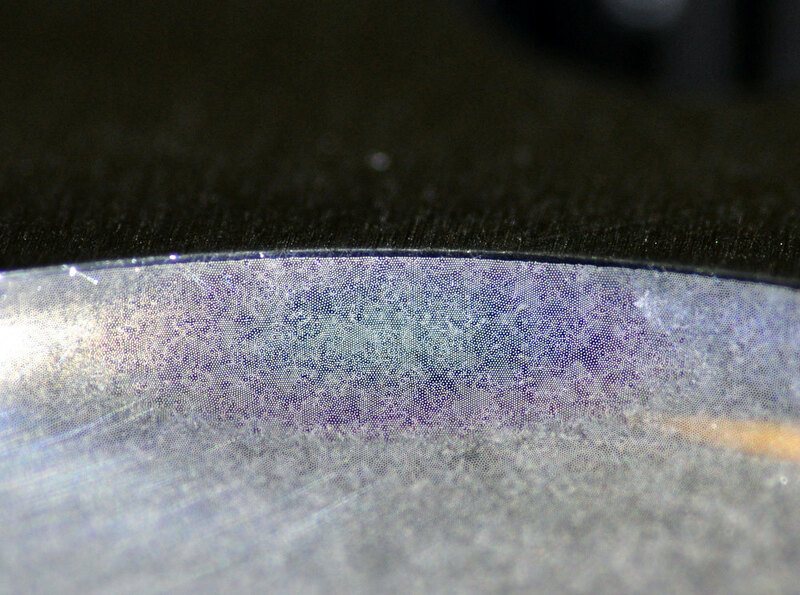 Micro-pillar textures can be used to obtain soft-touch or anti-glare surfaces on plastic parts, and even super-hydrophobic surfaces when using a low surface-tension material. Typical pillar textures use pillars with a diameter of 20–60 µm, a depth between 25 and 75 percent of the diameter, and a density of 50–2500 pillars per mm². SEM image of the surface of an injection molded part with a micro-pillar texture. The haptic properties of surfaces can be changed by reducing the skin contact area, leading to a very soft feeling surface. This soft-touch effect can for example be used to enhance the quality / feel of consumer products; or it could be applied to medical products to reduce skin irritation / friction. Besides soft-touch properties the textures also change the visual appearance. Dense pillar textures show diffuse reflection, resulting in a matte velvet-like surface finish. If you are interested in this technology, we can supply injection molded demonstrator samples with several variations of soft-touch / anti-glare textures on a TPU polymer plaque. Please do not hesitate to contact us with your questions. Injection molded TPU demonstrator sample with different soft-touch / anti-glare micro-pillar textures. Mold texturing is performed by using a 3D step-and-scan approach: the curved target surface is divided into small, almost flat tiles; each tile is then processed using 2D vector scanning, with the scan field positioned for each tile by the 5-axis manipulator. The workflow generally starts with defining the target surface on a CAD model and then exporting that surface as a mesh (STL). The exported surface mesh generally contains many different faces, some large, some very small or oblong. The surface is therefore remeshed, and the resulting tile mesh is used for the surface processing. 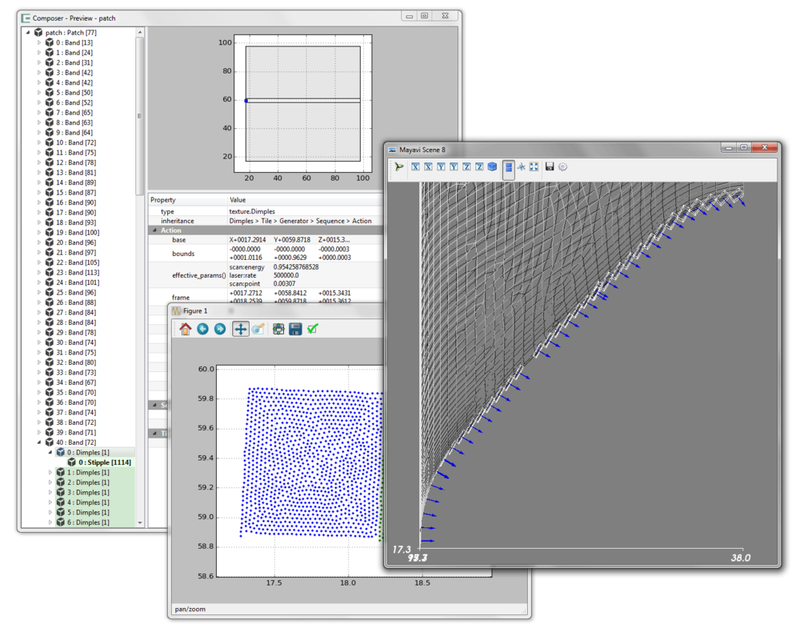 Using our Composer programming environment and a toolkit for surface texturing a machining program is then created, in which the user defines the texture parameters, whether (some) tiles should be processed at an inclination, if laser cleaning is to be performed, etc. A graphical previewer can be used to verify the correctness of the program. Lightmotif specializes in applying micro-textures to curved surfaces and can assist customers in developing new applications with its laser process development and mold texturing services. 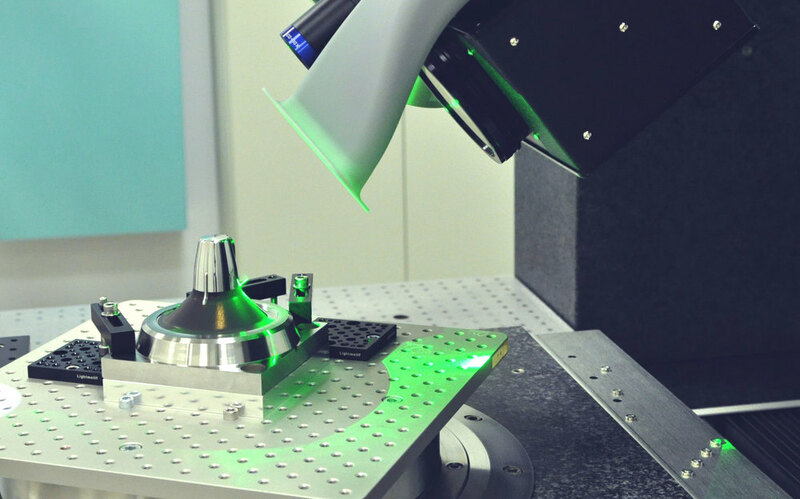 The five-axis OP2 laser micromachining system can texture molds / inserts of up to 300 kg and is a great solution for customers that want to do their own application / process development, or use it for production.